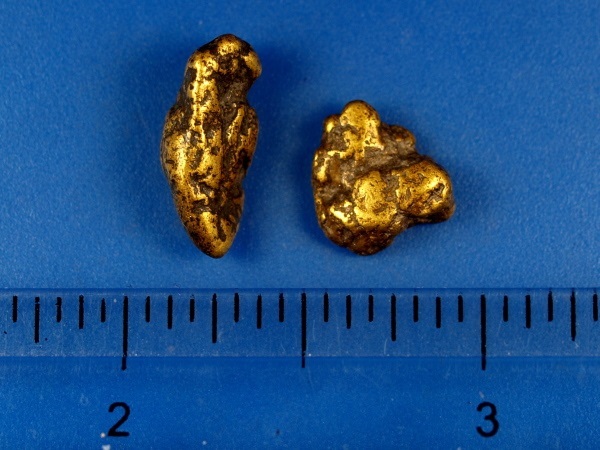 Here is a pair of really interesting gold nuggets mined in Alaska. 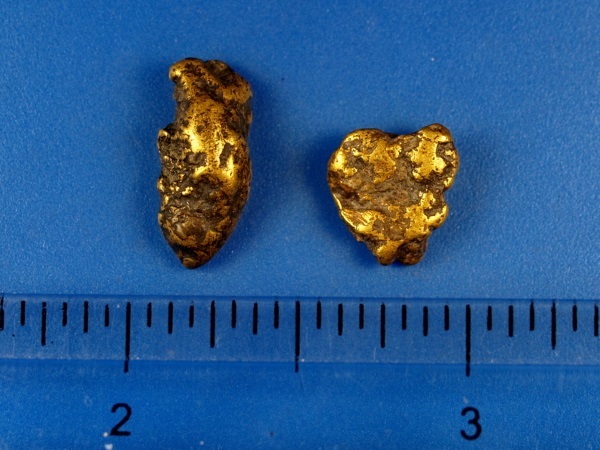 These were mined from an ancient river channel and have dark iron staining and matrix. They come from a mine near Fairbanks. Their combined weight is 6.46 grams.